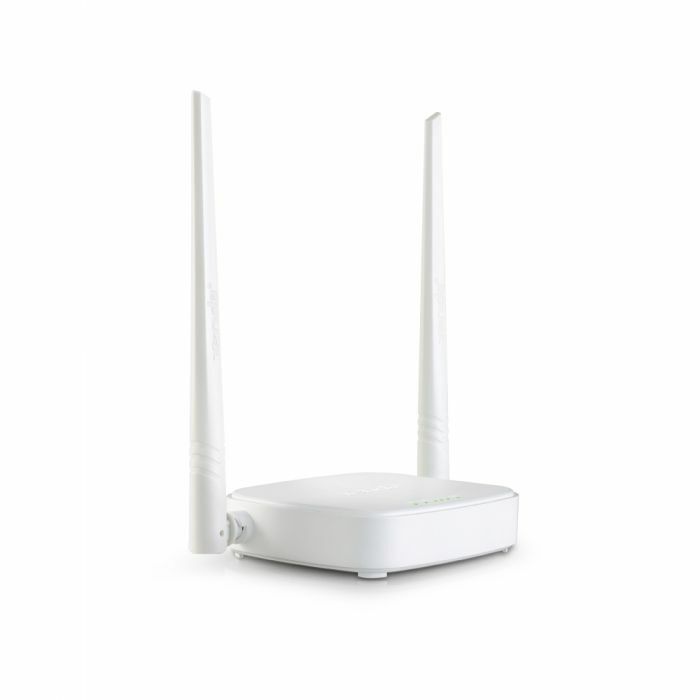 • Interface: Ports:1 x 10/100Mbps WAN Port,3 x 10/100Mbps LAN Ports; Antenna: 2 fixed 5dbi Omni Directional antenas; Button:1 Reset/WPS Button. • Data Rate: IEEE 802.11n: up to 300Mbps; IEEE 802.11g: up to 54Mbps; IEEE 802.11b: up to 11Mbps. • VPN Support: PPTP; L2TP. • Security: 64/128bit WEP; WPA-PSK; WPA2-PSK; WPS support. • Management: Working ModeUniversal Repeater:AP, WISP, WDS Bridge; Wireless Function: Enable/Disable Wireless Radio,Wireless Access Control; DHCP Server: Built-in DHCP server, DHCP Client List, Address Reservation; Virtual Server:Port Forwarding, DMZ Host; Dynamic DNS:No-IP dyndns. • Environment: Operating Temperature: 0?~40? ; Storage Temperature: -40?~70? ; Operating Humidity: 10%~90% non-condensing; Storage Humidity: 5%~90% non-condensing.